It’s not unusual for people who have a strong attachment to something to form clubs in hopes of meeting like-minded people. It’s been happening for centuries. Tesla is no different. There are a lot of communities, forums and information sites out there that are Tesla related. A couple of months ago I came across a very interesting one, Teslarati. Teslarati’s goal is to be the number 1 source for Tesla lifestyle news, product reviews, aftermarket upgrades, and accessories for the Tesla Model S, Model X and Roadster. The site is very modern and keeps with the current design trend by making things easy to find. Content at a glance. It takes on a diverse collection of topics and does it with a mix of auto industry pros and journalists. 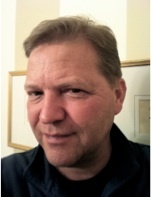 They have global connections and a significant amount of their readership comes from outside the United States. Recently they reached out to me after reading my blog and asked if I’d be interested in contributing. Needless to say I was honored and after a phone conversation with Gene, the founder, it was clear to me that these guys were the real deal. Gene had never met a Tesla owner outside California before talking to me. The site was started as an experiment to try to capture and communicate the Tesla lifestyle. They are growing fast. I’m happy to report my first post for Teslarati was published yesterday. I conducted an interview with Gino Bernardi who is the only licensed livery driver in Chicago that drives a Model S on the job. You can check him out, and order a ride from his web site Watts on Wheels. 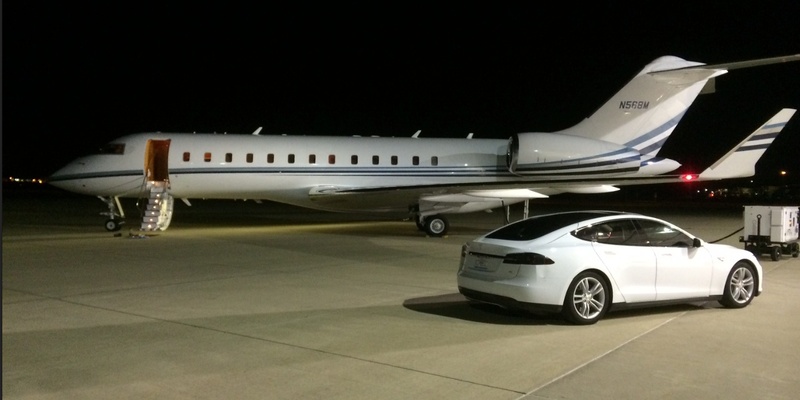 Below is Gino’s Tesla on the tarmac of an executive airport waiting to pick-up a client. Although the Model S is now registered in all 50 states, the greatest concentration is of course in the Golden State. But Chicago has a strong Tesla following as well as car ownership. I will be reviewing aftermarket products on Teslarati as well as providing my personal perspective on what it’s like to drive the car in the Chicagoland area. I believe in time that the EV can seamlessly integrate into most people’s driving lifestyle. As the technology gets cheaper and more advanced, millions will be able to afford one in a few short years. Change is always hard and slow. One of my goals is to help people learn, get comfortable with and clearly see the benefits of driving electric.